Realskiers regulars who can sense any ripple of change in the site have no doubt noted by now that there’s a new member in the cast of reviewed ski brands, Liberty. As Liberty is the only supplier we cover with an owner/founder/designer as its CEO, allow me first to illuminate the rationale behind its inclusion. 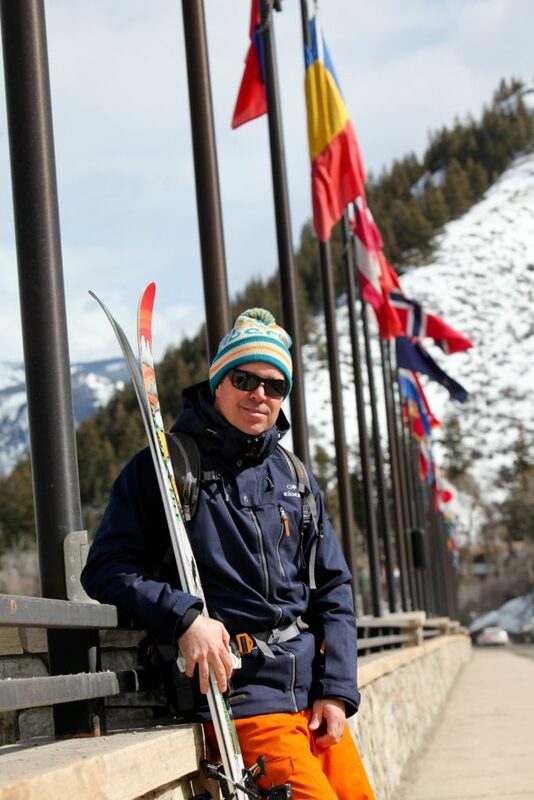 One of the foundational purposes of Realskiers.com is to support the specialty shops that continue to invest in training, mentorship and customer care. This is where the best bootfitters ply their arcane trade. All technical skiing depends on a properly selected boot that has been optimized for the individual. Any advice Realskiers provides about ski selection is meaningless if the skier’s boots are dysfunctional. Which is a long way of saying, we support ski brands that in turn support specialty shops and consequently their bootfitters, without whom our counsel is worthless. Which brings me back to Liberty, where co-founders Dan Chalfant and Jim Satloff decided six years ago to build a retail network, despite the considerable investment in customer service and a lot of hand-to-hand combat to win over enough buyers to be viable. So when Liberty asked last spring if they could play in our sandbox, so to speak, they’d already cleared a major hurdle. But it’s one thing to play the game, and quite another to win it. The ace up Liberty’s sleeve was a new series of Frontside skis that added vertical strips of aluminum to Liberty’s customary bamboo, carbon and glass make-up. 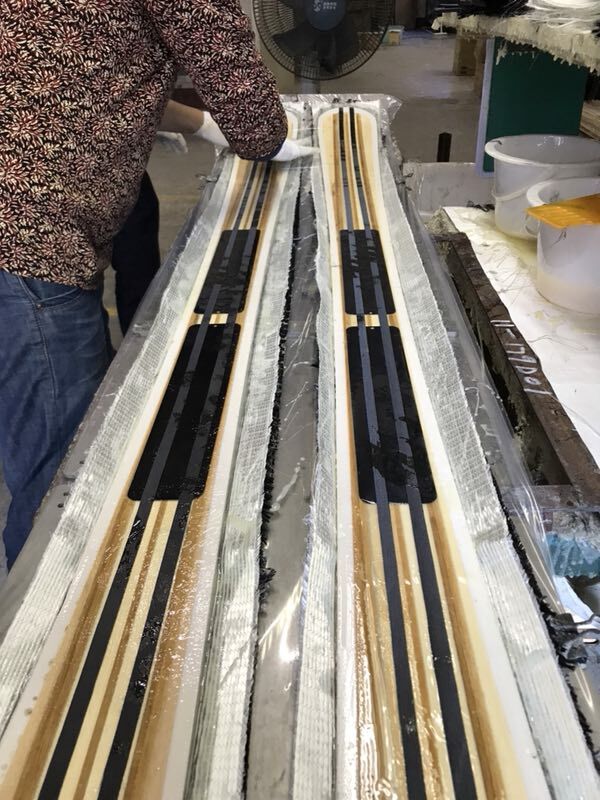 When Liberty began making skis 15 years ago, the best opportunity for a small batch brand lay in wider skis – like its seminal Origin 116 – that mainstream brands largely ignored. So Liberty naturally focused on freeride models, as newborn brands often do. Maine native Dan Chalfant settled in the Vail Valley so he “could chase powder after a winter storm then follow the melting spring snow down to the river to chase trout.” Here he inspects a batch of cores at the factory he and his partners co-own. But making skis for the hard snow conditions that prevailed where the founders grew up in New England was always part of the plan. Liberty had taken an earlier stab at using vertical metal laminates and gave up when they couldn’t properly industrialize the process. They certainly seem to have worked out the kinks in their Vertical Metal Technology, because the new V76, V82 and V92 are exceptionally versatile skis. Unlike a lot of Frontside skis with deep sidecuts, the V Series aren’t the least bit finicky about how they’re skied. The short turns that are carving skis’ raison d’être spool off the edge as effortlessly as the long-radius swoops of the inveterate cruiser. Normally, the intent of a product review is to identify who the ski is for; with Liberty’s V Series models, the better question is, who aren’t they for? Part of their charm is that the V models are relatively light in a genre stocked with beefy skis pre-mounted with elevated plates. In this sense, they’re retro skis with a subtle snow feel plates tend to muffle. No other skis in the same range of sidecuts impart quite the same sensation of accessible ease. A Liberty V 82 in mid-creation. The grey strips are pre-cured carbon; the black rectangles are spring steel mounting plates. 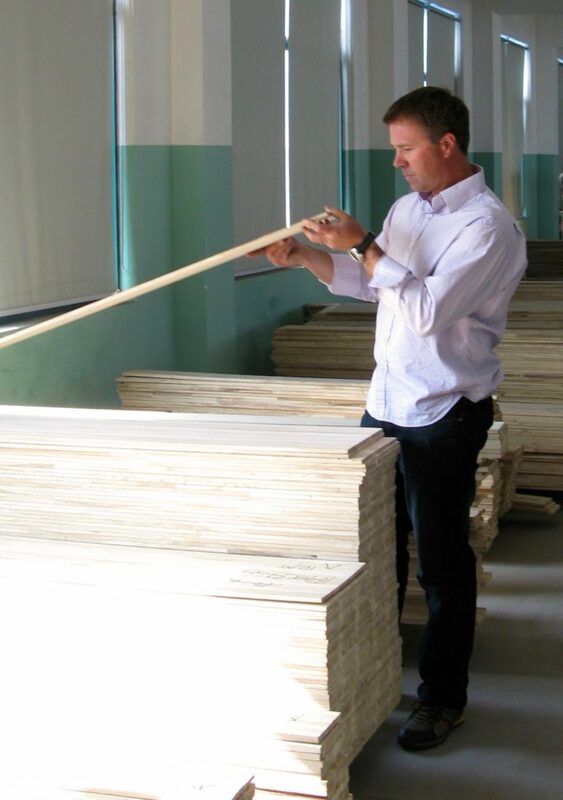 Further evidence of Liberty’s focus is its signature use of bamboo for its cores. Bamboo’s star quality is its resilience: the energy it stores when flexed creates rebound that propels the skier through the turn transition. This spring-like quality stands out among über-damp carving skis that aspire to retain snow contact throughout the arc. While it sounds oxymoronic to say, Liberty is succeeding because it focuses on everything. That is, they focus on everything to do with making a better ski and little else. No clothes. No goggles. No helmets. The best part about being a ski designer is it’s your job to ski. Dan ready to go to work at Beaver Creek. Many readers of these pages are lifelong skiers with a natural curiosity about the over-populated world of small-batch producers. If you’re thinking of swimming in this pond, I can’t think of a better choice than a Liberty V Series model. They’re completely new yet somehow manage to feel utterly familiar (in a good way) to lifelong practitioners of our beautiful sport.